I fondly remember a presentation a few years ago given at a conference that I attended at my alma mater. The speaker described our profession as such: artists create in 2-D, by drawing and painting; architects create in 3-D, by going vertical with their designs; but we create in 4-D with time being our 4th dimension. As gardeners and landscape designers we must wait to realize our vision. 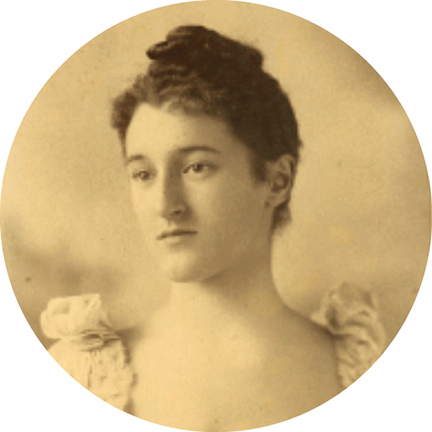 Beatrix Farrand was also a charter member and the only woman of the American Society of Landscape Architects in its founding. 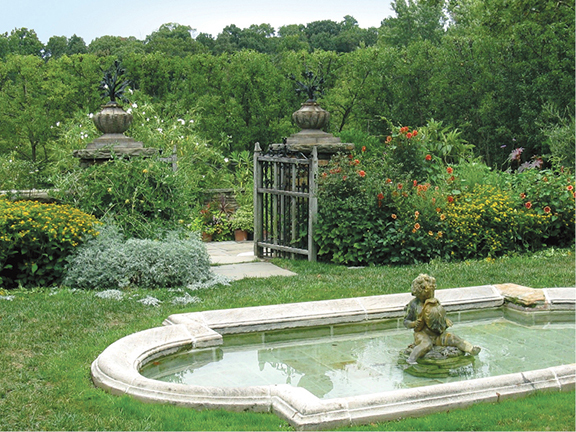 She is probably best known for her work at Dumbarton Oaks in Georgetown, Washington, DC. But her designs can be found up and down the East Coast, from private residential gardens to numerous public spaces and botanical gardens, as well as those on university campuses. Her college garden designs were known for providing interest throughout the academic year (so that students could readily enjoy them), for their practicality, and for helping to make small spaces appear less overwhelming. This last was accomplished by using vines and other plantings that grow in a more vertical manner, thereby helping to reduce the impact of the buildings. An image of her work is shown here. I encourage you to go and visit this and other places that feel like a painting come to life. It is within these spaces that we find nature, contemplation, inspiration, and a renewed spirit.